Message broadcasting software allows you to create and send bulk sms to the group of selected mobile phone users at national and international level by a single click. It is a wireless application service provider so you can send unlimited text messages, season greetings, invitations, jobs alert notification, business advertisement and market news to the number of contact persons simultaneously. You can enter the mobile numbers manually or imported from a text file or from cell phone memory for sending the business campaign. This affordable software is compatible with mobile phone connected devices to the computer including Microsoft active sync and windows mobile device center. You can send online mobile sms in English or Unicode supported languages like Arabic, Chinese, Hebrew, Hindi, Thai, Geek etc. Software provides full support to all windows based mobile phone handsets and PDA devices. Leading bulk sms providers can send mass messages from personal computer to all major brands of GSM technology based mobile phones like LG, Motorola, Samsung, Nokia, Ericsson etc. Safe and secure bulk sms software facilitates to send messages like product promotion, business meetings, contacting employees etc. Features: * Create and send unlimited bulk messages from PC to mobile phone by a single click. * Supports both national and international mobile networks for sending group messages. * It is a wireless application service provider so no need to internet connections. * Software facilitates with manually enter the contact numbers or you can import via the text file or from cell phone memory. * Bulk sms messaging application supports all brands of GSM technology based mobile phones. * Tool can send sms in English or Unicode supported languages. * User friendly sms broadcasting software has the attractive GUI facility. Download text messaging program to send advertising and business messages to your customers. Corporate text messaging software can send unlimited number of text messages to group or individuals personalized messages, event alert, job alerts etc. Online SMS application provides facility to deliver sms text including job alerts, reminders, events, notifications, invitations, interviews, meetings and greetings from computer to mobile phone without requires any external devices. Comprehensive Bulk SMS for Mac software delivers multiple text messages in short span of time without requiring internet connection. Group messaging application delivers instant job alerts among mass audience via connecting GSM mobile phone. 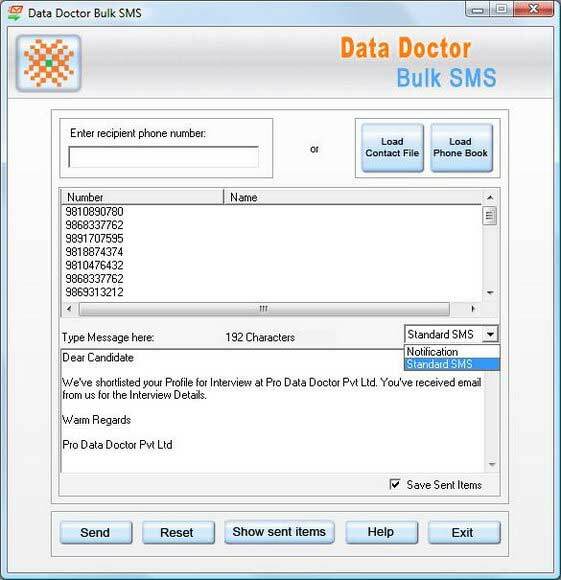 Bulk text sms sender tool can generate various corporate related messages including job alert news, meeting reminder, invitation to single or multiuser mobile phone. PC to mobile text messaging utility sends unlimited number of bulk message globally. This site does not contain serial number, crack, keygen Bulk SMS Broadcasting Software serial number : serial number is the simplest type of crack. A serial number(cdkey,product key,etc) is register the program as you may already know. a crack or keygen may contain harmful software. If you cannot find the exact version you want, just give it a try. for more information read .nfo/.txt/.diz file include in zipped file.